Check out the bookshelf quilt pattern from Daisy Fredericks on Craftsy for our new #SummerReadingQAL! Official details and fabric requirements will be up in early May to get ready for the May 24th kick-off. Our next Virtual Stitch-In is May 13, 2016! I have absolutely NO time for a QAL, so of course I’m going to do it. A combination of books and quilting? How could I not? 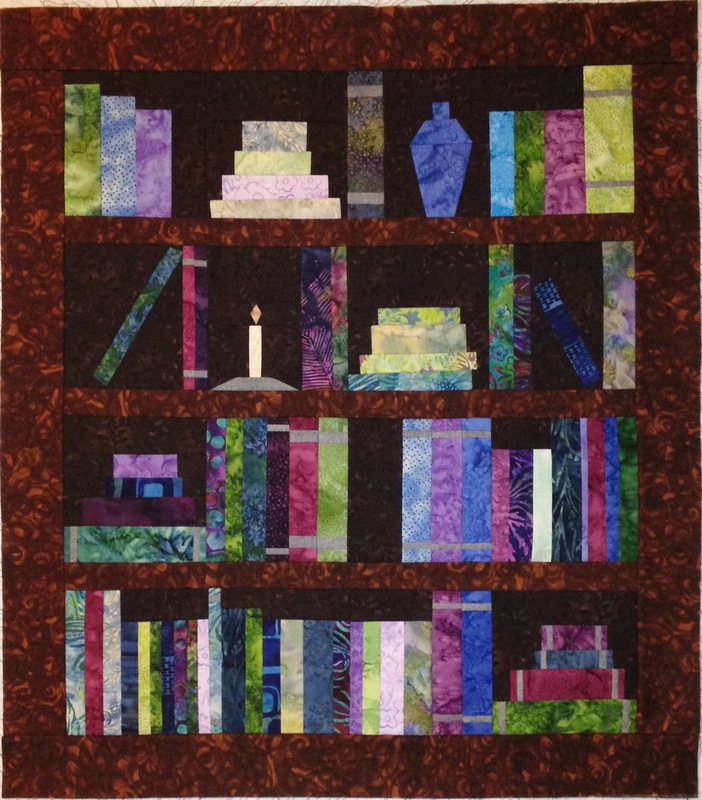 Did you know the bookshelf quilt is not the one shown in the first break? The two of you crack me up! I especially love how the camera zooms in on Pam’s expressions. Each episode gets better and better! I enjoyed this episode. I usually listen to audio at work and when I can watch the video of the episode. I’m always trying to guess your facial expressions especially when I find myself lol at something. Hopefully I can join along for the smaller version of the bookshelf quilt. I have about 8 UFO’s because I’m afraid to mess them up, I’m hoping to finish at least 4 before the end of this year.